Wrocław is a charming city and the largest one in western Poland. With over 630 000 residents, it is rich with attractions that cater to the entire family. Wrocław offers you its history, with a wealth of historic sites, structures and more. The top attractions of this destination include Centennial Hall, Racławice Panorama, and Wrocław Multimedia Fountain. 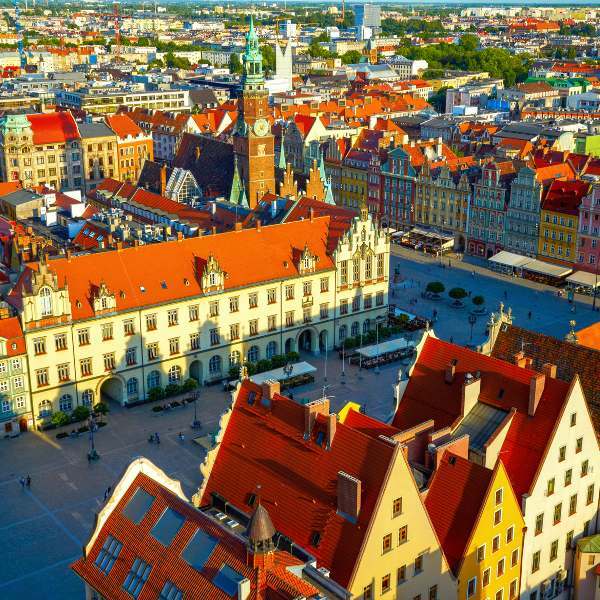 Get ready to be captivated by this lovely city, because cheap flights to Wrocław are now available for a limited time period! Wrocław is home to Wrocław–Copernicus Airport (WRO), which is a 20-minute drive or a scenic 50-minute bus ride to the city. Wrocław’s position on the River Oder and its impressive architecture are a wonderful scene for a holiday experience. Treat yourself to all this beauty as you traverse this city’s streets. The historic attractions in Wrocław will have you exploring the city for days. Make sure to visit the Panorama of Racławice, the Old Town Hall and Hansel & Gretel. The venues to visit all over Wrocław are perfect for the whole family. Discover the Multimedia Fountain, Szczytnicki Park, the Wrocław Zoo, and Słodowa Island. Wrocław experiences cold to cool weather all year around and a significant amount of rainfall throughout the year. The summer period (June – August) has the most rainfall (July averaging at 80 mm), with average maximum temperatures ranging around 23°C. The most popular time to go would be during the months of May (late spring) and September (early autumn). These months have average maximum temperatures around 19°C and offer medium levels of rainfall, at around 40 mm. If you go during this time, be prepared to book well in advance and ready to pay higher hotel costs. The period with the lowest rainfall falls in the months of January, February and March (mid-winter to early spring). January is the coldest month, with an average maximum of 1.1°C and an average minimum of -2°C. Wrocław is the biggest city in western Poland and rich in history, dating back to ancient times, when Bohemia was actually a country and not the trend it is today. Today, this destination includes a large selection of attractions and activities, to ensure you have such a wonderful holiday experience, that you might never wish to leave! Lying on the River Oder, Wrocław will amaze you with a beautiful scene, which includes historic buildings and sites like Old Town and Wrocław Town Hall. 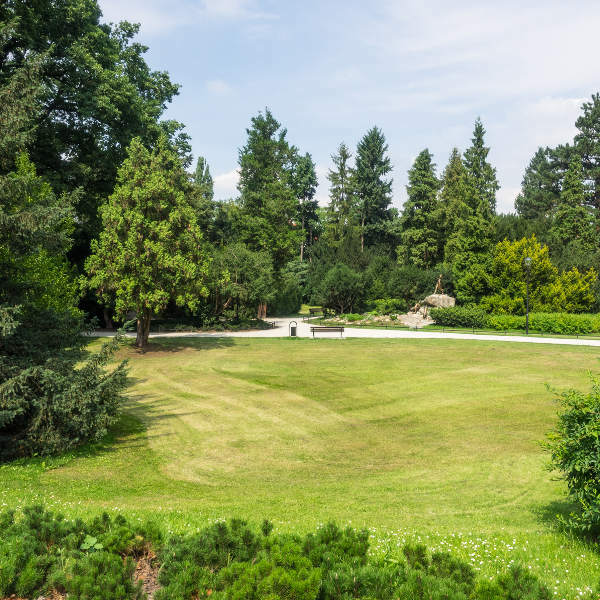 The range of attractions you can enjoy in this Polish city include the Wrocław Multimedia Fountain, Szczytnicki Park (which includes the Japanese Garden), the Wrocław Zoo (the biggest and oldest in the country), the picturesque Słodowa Island, and the Botanical Gardens, which was founded in the early 1800s. Compare several airlines and book your cheap flights to Wrocław online at Travelstart! Make sure your valuables are safe and out of sight, especially around crowded areas, like the Market Square. When you’re enjoying a drink in one of the pubs and clubs, keep your belongings close by and never leave them unattended. Visit your doctor to get all the routine vaccinations four to six weeks before your departure date. Additionally, you may need vaccinations for hepatitis A, hepatitis B, and rabies, depending on where you go or what you do in Wrocław.